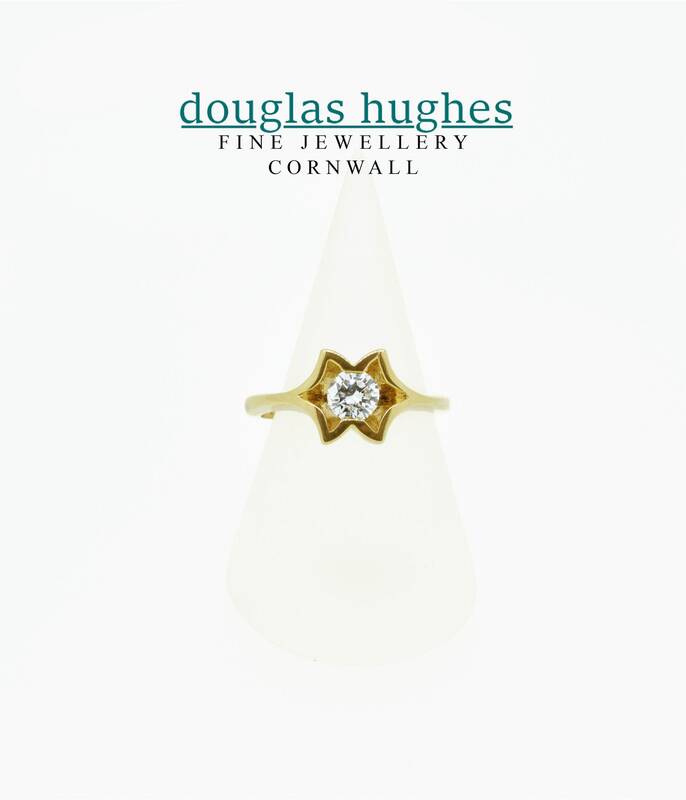 Beautiful eye catching ring - very different - unique Douglas Hughes Design. 18ct. Yellow Gold set with a stunning half carat Round Brilliant Diamond.